The Bahrain Financial Exchange (BFX) said it has signed an agreement with FlexTrade Systems to operate as an independent software vendor of the exchange. Under this agreement, FlexTrade Systems is authorised to provide sophisticated trading front end technology through its FlexTrader EMS to members of the exchange. FlexTrader is a multi-asset trading solution with pre-defined strategies and tactics for both portfolio and single stock trading. The platform provides organically developed real-time and post-trade and predictive analytics as well as risk and cost-optimised portfolio trade scheduling. "We are pleased to collaborate with FlexTrade Systems," said BFX managing director and chief executive Arshad Khan. "Our aim is to expand our services through state-of-the-art trading platforms that match the exchange's integrated packages of trading solutions," he said. "Our association with FlexTrade Systems will take the BFX markets to large number of global dealers trading on the international markets using the FlexTrade platform," he said. "We welcome FlexTrade Systems to join our well established seamless trading platform," he added. 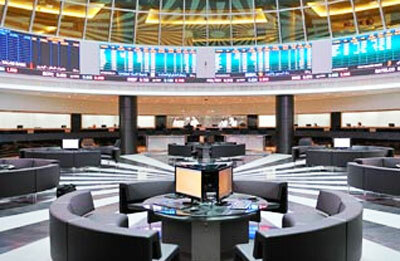 "Electronic trading is gaining a solid foothold in the Middle East through BFX," said FelxTrade Systems managing director Manish Kedia.